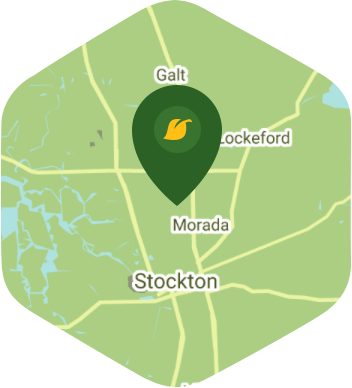 Book a skilled lawn pro in Stockton. Backed by a total satisfaction guarantee and amazing customer support. In a city like Stockton, the amount of things that can keep you busy during your free time is never in short supply. You can watch the Heat play some Hockey at the Stockton Arena or spend some time surrounded by nature at the Japanese Garden at Micke Grove Park, or enjoy some culture at the Pow Wow Festival. You can really have fun here as long as you don't have to mow your lawn on the weekend. But if this is the case, then Lawn Love's lawn mowing service might be able to help. We have the kind of lawn mowing service that will really help make your life that much easier. Our guys are some of the very best independent lawn techs in the city. With us on the job you can keep your lawn mower in the shed because we've got all the equipment needed to cut your grass at just the right height. We know that no two lawns are the same, so we use a different approach for each home that we are sent to. Our lawn mowing service is all that you'll ever need if you want a lawn that you can be proud of.